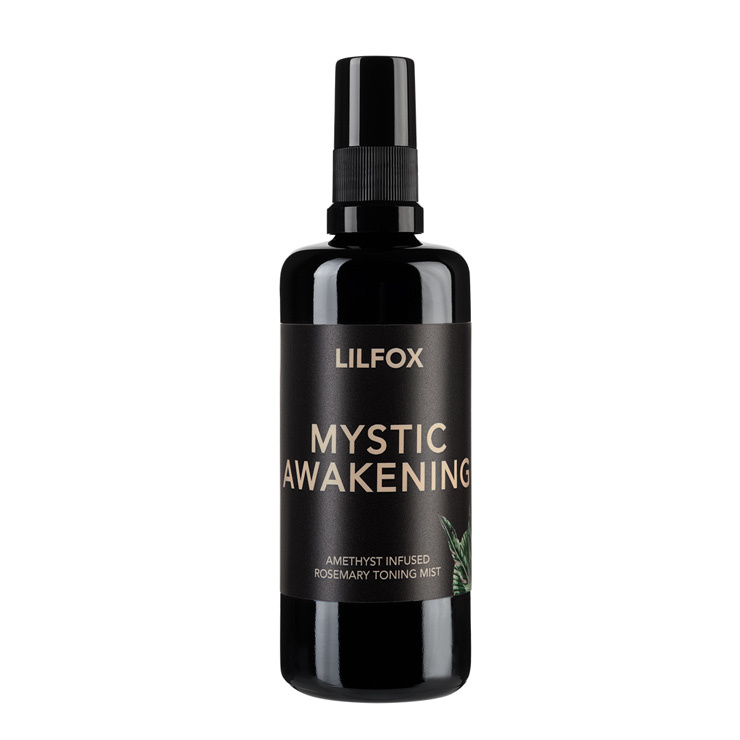 Mystic Awakening Rosemary Toning Mist by LILFOX offers feelings of purity and moisture, while leaving skin with a look of dewy glow. Spritz the rosemary and amethyst-infused tonic to brighten your skin's appearance and awaken the senses. Rosemary gives your skin a feeling of boosted circulation for an all over look of radiance, while the amethyst crystals in every bottle lend a look of balance and clarity. When you mist this crisp, clean scent over your face, it offers a feeling of maximum hydration, making it the best way to begin each morning for refreshed feeling skin throughout the day. Mist over face after cleansing, and before and after applying serum for a moisturized feel. Mist over face after applying make up for a look of refinement and dewy brightness. This mist makes the entire body and hair look refreshed. Use before or after a long day of work or travel. It smells like heaven and it's instantly both calming and energizing. I love using this toner to set my makeup or to simply appease red, inflamed skin. In any case, I hope they keep making it, because I will definitely continue to buy it!